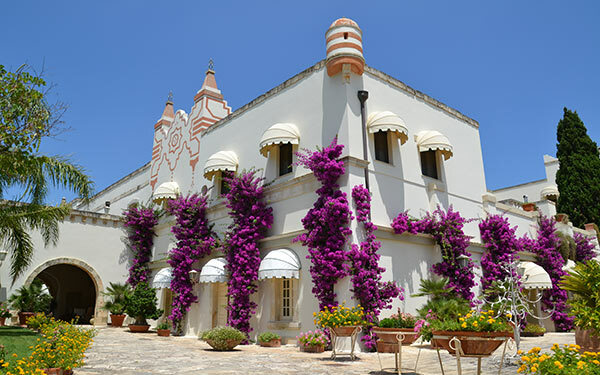 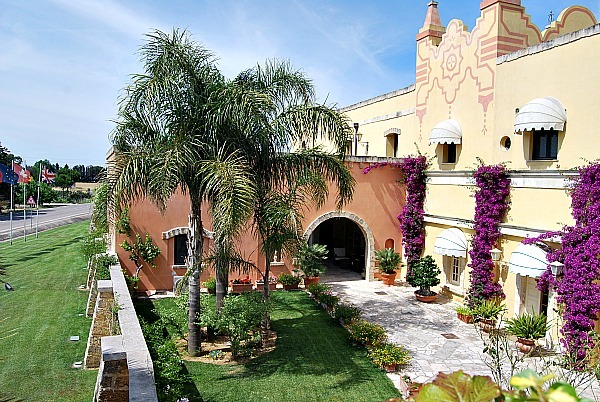 This hotel is located in what was once a convent of the nuns of Saint Mary of Leuca, and the atmosphere of tranquillity and concentration still lingers in the rooms and corridors of the resort, even if the restoration work has changed the structure into a resort that is perfectly equipped to focus the well-being of its guests. 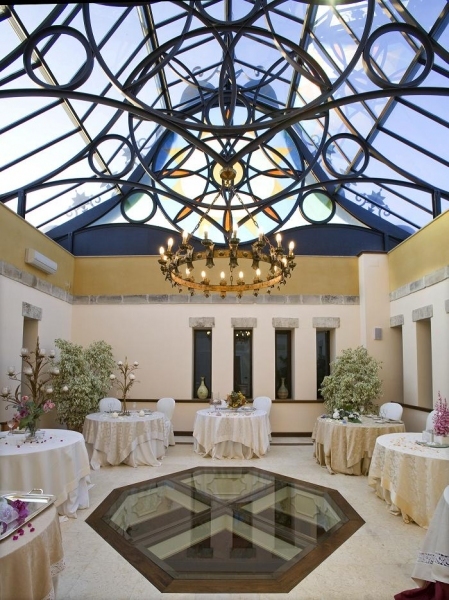 With this objective in mind, special attention is paid to the food and wine cellar (the restaurant is located in the original heart of the convent), whilst the the Calidarium spa, swimming pools and meeting rooms marry together perfectly with the fountains, garden, lush vegetation and the scent of orange blossoms thanks to the olive and citrus trees that surround the resort. 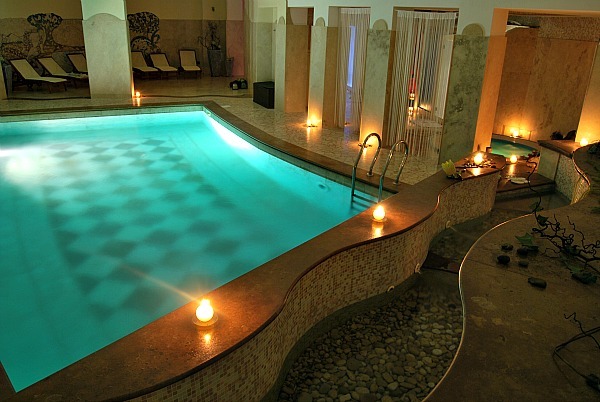 At the Calidarium spa guests can undergo aesthetic and relaxation treatments, massages, seven wellness circuits, which range from classic ones to Thai or Ayurveda circuits, five different types of Day Spa programmes and even special packages for newly-weds, friends and anniversaries. 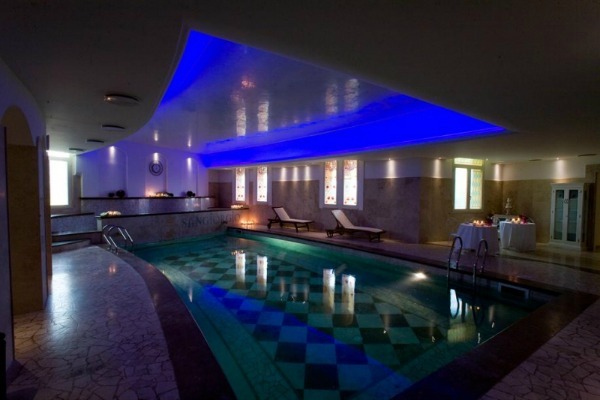 Some of the facilities available include a Kneipp circuit, heated, indoor swimming pool with a swimming machine, Turkish bath, multi-sensory showers, sauna, fitness centre, solarium and the fundamental relax area with a tea corner. 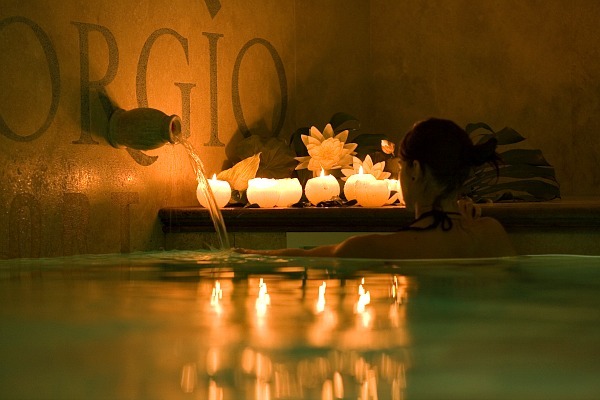 A new feature at the sap is the Acqua Floating treatment, a technique that focuses on completely relaxing in water. 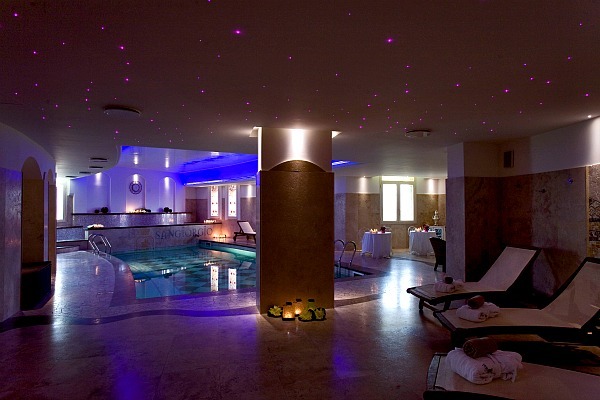 The body treatments available make use of mousses, organic substances and special combined packages that involve oceanic seaweed treatments and the Nausicaa tub, a new type of tub that uses water in the form of vapour or fog. 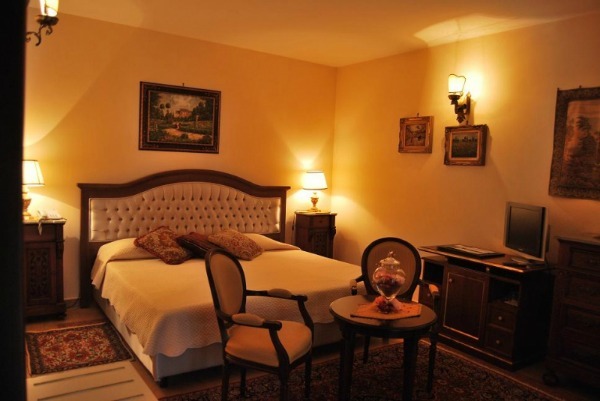 The hotel has 18 rooms, divided into superior, deluxe and junior suite categories, and they are all decorated in an original style and have air conditioning, a shower and Jacuzzi bathtub, satellite television, mini bar, direct phone line, internet, safe box and radio. 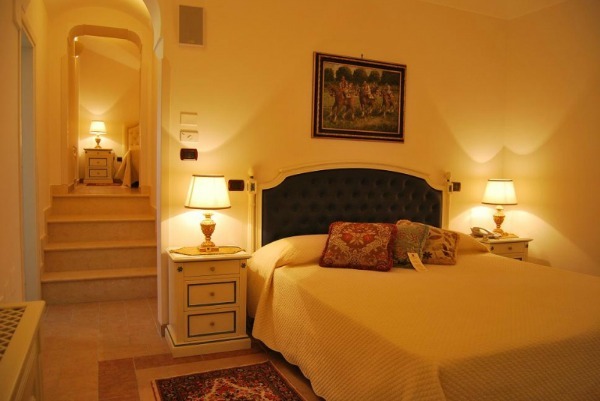 The junior suites are secluded compared to the central part of the property, since they are located in the ancient view tower, and they guarantee more privacy. 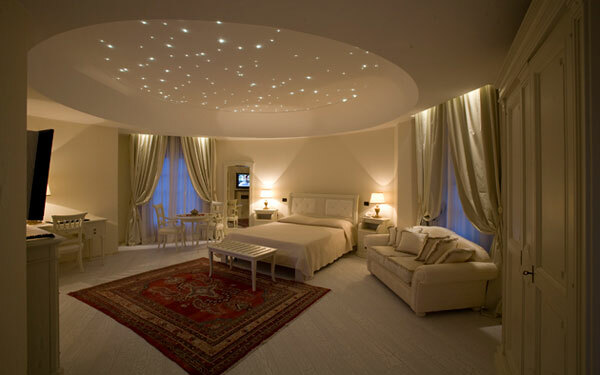 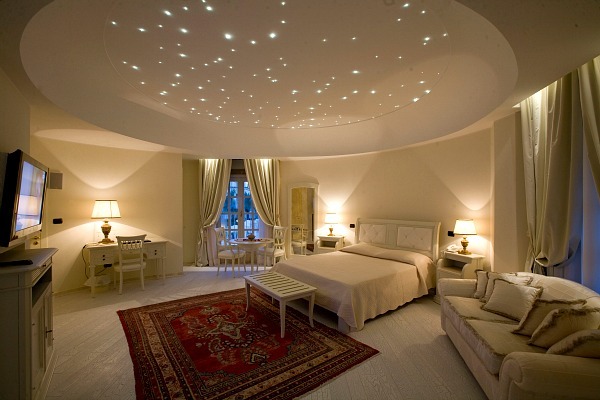 Lastly, the San Giorgio suite looks out over the romantic garden and has a mini Jacuzzi tub on the terrace. 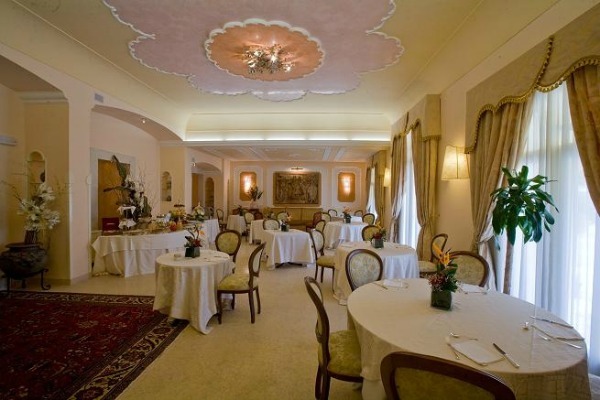 The restaurant ‘Il Chiostro’ serves up a traditional cuisine based on bringing out the best of the regional and national cuisines. 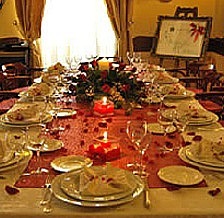 Guests can choose from the à la carte menu and the Table d’Hote, and dishes for diners who must exclude gluten from their diet are also available. 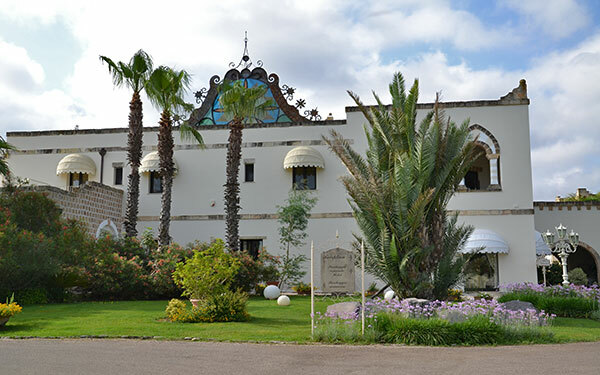 The wine cellar, which is also a wine shop, is one of the strong points of the property: it is underground and stocks around 1000 bottles of national and international wine, but mostly locally produced wine. 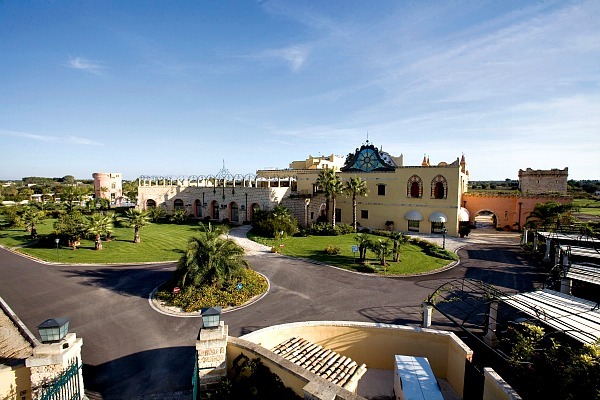 Guests can also partake in wine courses and wine tasting sessions with expert wine connoisseurs and enjoy special meals reserved for business meetings and special appointments, as well as after-dinner tasting of Cuban cigars and spirits. 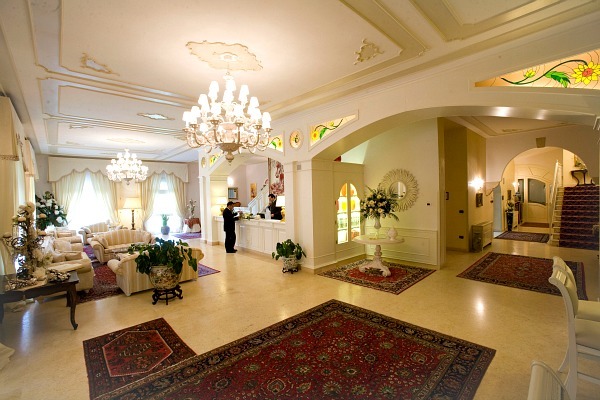 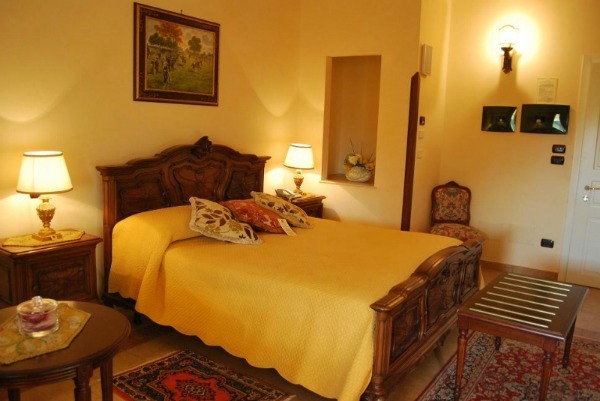 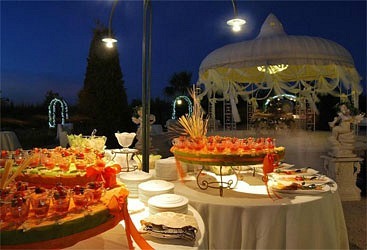 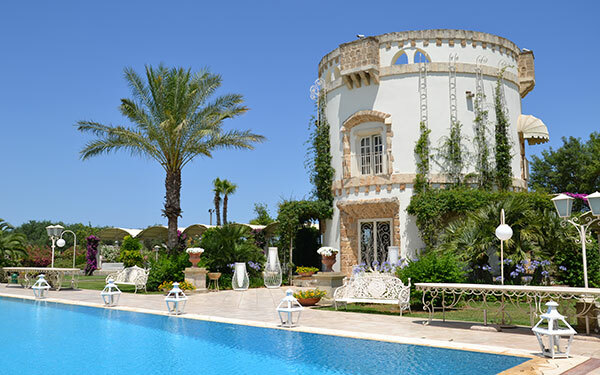 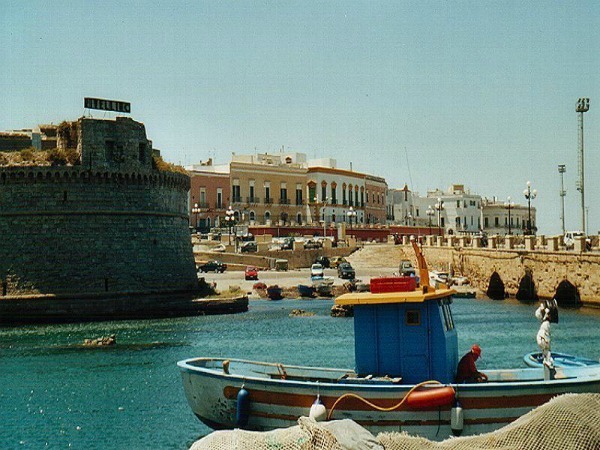 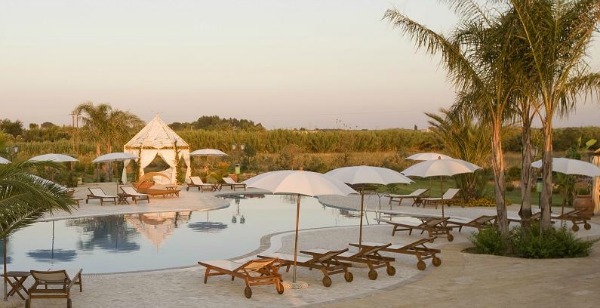 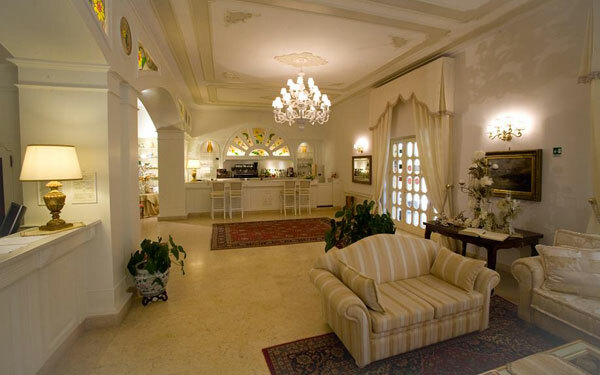 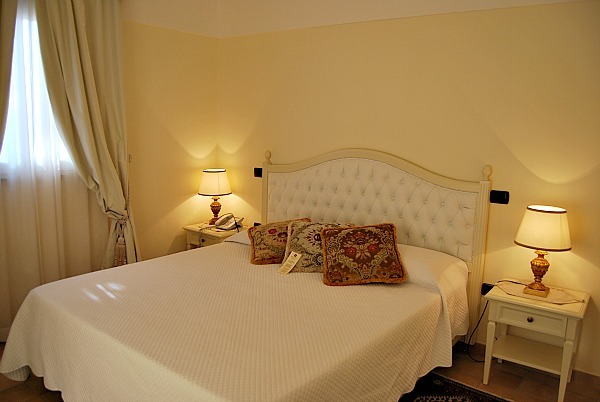 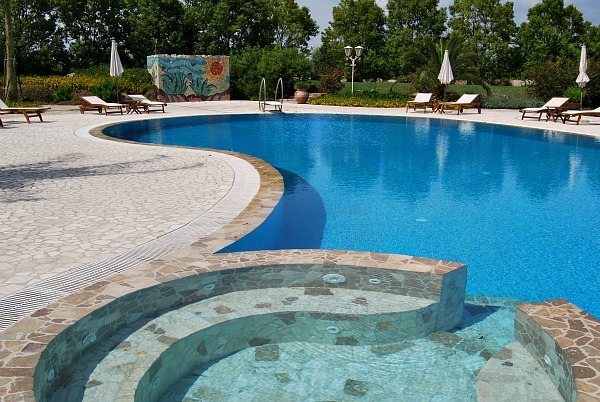 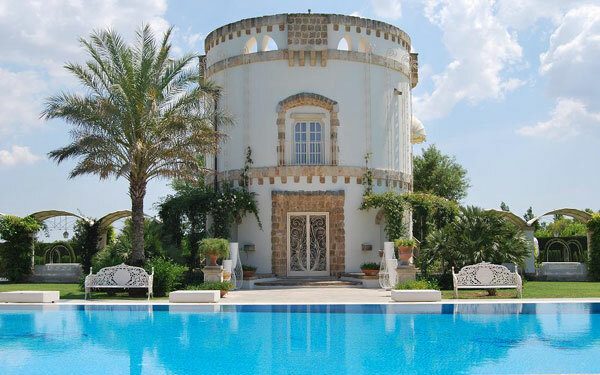 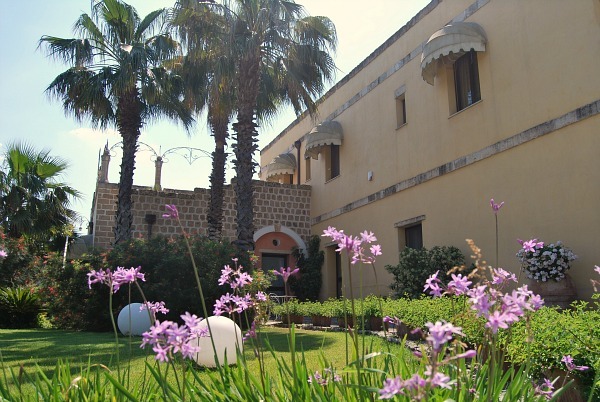 The resort is located in the heart of Salento, in Cutrofiano , in the province of Lecce in the heel of Italy. 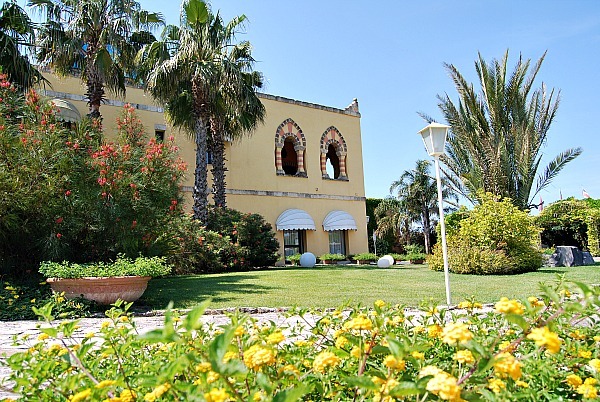 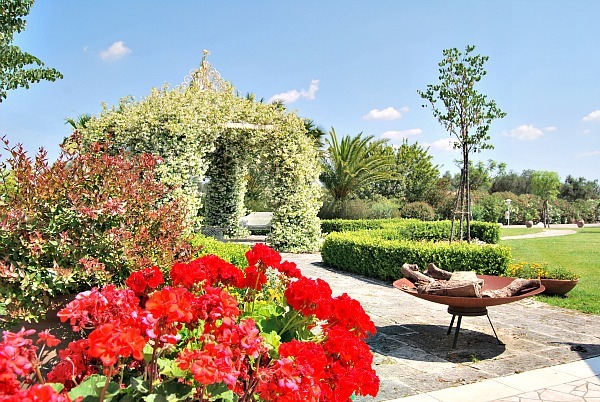 The splendid nature that surrounds San Giorgio can be seen from the garden and greenery that surrounds the hotel and which is rich in palm trees, orange blossoms, flowers and other natural wonders. 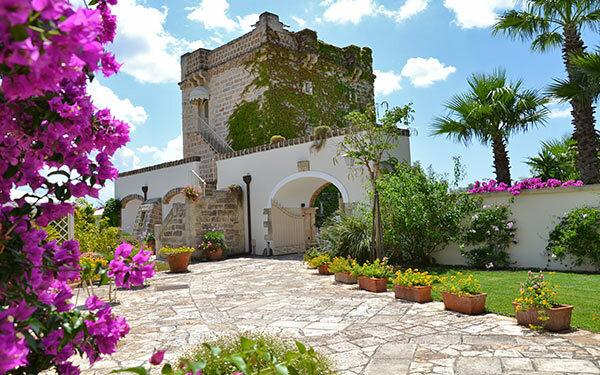 Housed in a former convent, which still features a votive chapel dedicated to Madonna, the resort emits a special atmosphere of peace and it expands over an area that is rich in vines and olive and citrus trees. 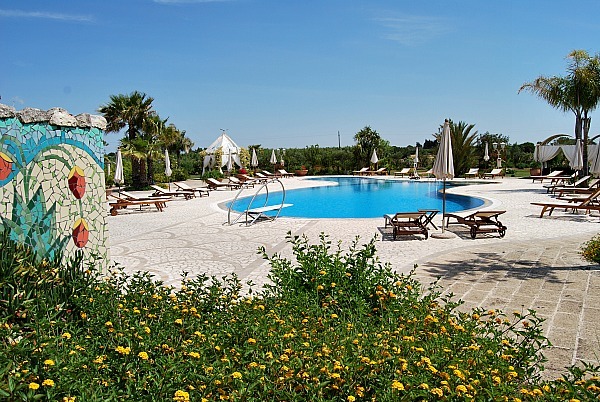 Just a few kilometres from the hotel, however, to the east, is Gallipoli, one of the most beautiful and charming places in Salento from an archaeological, nature and historic point of view.